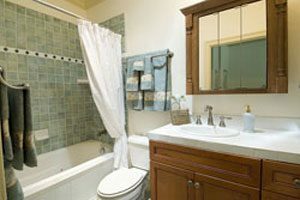 Many homeowners are seeking bathroom remodel options that are attractive, yet fit within a budget. L.J. 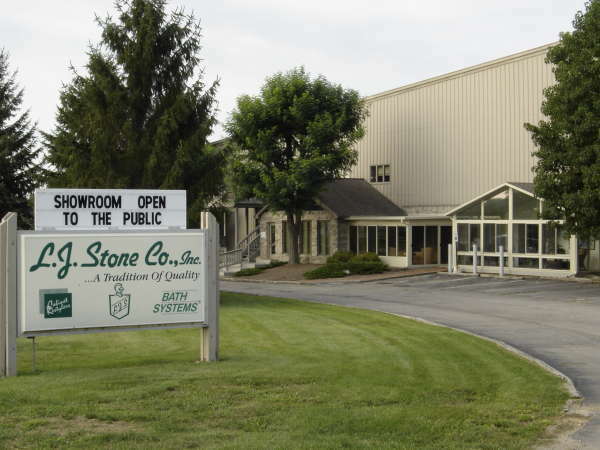 Stone Company, Inc. can provide residents of Indianapolis, Muncie, Kokomo, and surrounding areas with a fresh, updated look in their bathrooms without the hassle of a full remodeling project. A conventional bathroom remodel can be expensive and time-consuming, often involving the repositioning of plumbing and the replacement of walls and floors. L.J. Stone offers customers a faster and more affordable remodeling alternative with our shower liners, as well as our tub liner and tub-to-shower conversion products. Our expert installers can place a brand new bathtub liner or shower base directly over your old tub or shower. Most of our bathroom remodel jobs are completed within a few hours, allowing you to enjoy your new bathroom right away. L.J. Stone’s beautiful bath products are constructed from durable, high-gloss acrylic and come in a variety of colors and finishes, so you can select the items that best fit your style and needs. Additionally, since our bathroom remodel products have no grout lines, they are incredibly easy to clean. Since 1967, homeowners in Noblesville, Anderson, Marion, and nearby areas have depended on L.J. Stone Company for superior home improvement products and installation. Our commitment to providing outstanding customer service and workmanship has earned us the Indianapolis Consumer’s Choice Award. Plus, with comprehensive manufacturers’ warranties and our additional installation warranty, you can rest assured that your home improvement investment will be properly serviced if required. If you’re researching contractors for a bathroom remodel in Richmond, Greenfield, Greenwood, New Castle, Carmel, or anywhere else in the greater Indianapolis area, consider the convenient and affordable options offered by L.J. Stone Company. We also offer cabinet refinishing, sunroom and patio enclosures, gutter protection, replacement windows, and much more. Contact us today.